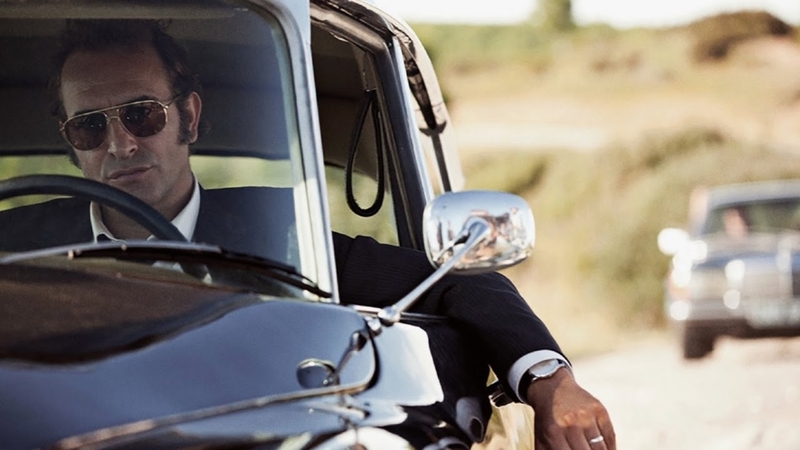 Marseilles magistrate Pierre Michel (Jean Dujardin) is upset. He’s tired of watching as notorious drug kingpin Gatean ‘Tany’ Zampa (Gilles Lellouche) continue to grow his empire, recently moving into transporting lucrative shipments of heroin into the United States, right into the heart of New York City. Assembling a crackerjack taskforce, he’s going to use any and all means necessary to bring the man down, blurring the line between law enforcement and criminal activity in the process. 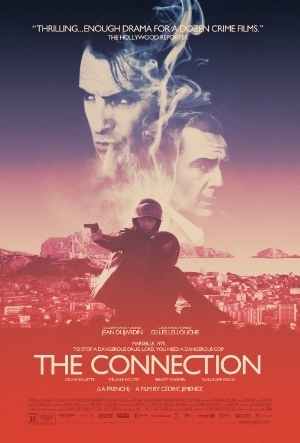 Director Cédric Jimenez’s The Connection is the French flipside to William Friedkin’s Academy Award-winning 1971 classic The French Connection. It tells the story from the Gallic perspective, a true crime procedural that attempts to showcase all its various twists and turns in as intimate detail as it can in the context of a 135 minute running time. It moves decently, but not quickly, and there are moments where it runs a little bit in circles. But thanks to an electrifying performance from Dujardin and a kinetic vibe that got my nerves jangling every which way the fact the movie is a little on the longish side ends up being mostly okay. While Michel is an obvious badass straight out of a Warner Bros gangster flick from the 1930s, I like the fact that Jimenez and his co-writer Audrey Diwan go out of their way to make sure the magistrate knows the value of building a cohesive team in order to bring someone as smart, yet still lethal, as Tany proves to be to justice. They emphasize the fact this lone wolf acknowledges he needs to be a member of a pack if he’s going to win, and as such it allows those who come and go throughout to make a greater imprint on events than they otherwise would have. At the same time, trying to emulate Friedkin (I’m guessing as I can’t really be sure) Jimenez attempts to make Tany – known as “The French” to you and I who’ve watched The French Connection – an ephemeral evil, someone we watch mostly from afar allowing his brilliance, depravity and psychological gamesmanship to materialize bit by bit. But the filmmaker backs off too much, keeps things too distanced, and while Lellouche does what he can there’s so little for him to work with it’s not altogether shocking he can’t make his character anything more than an intriguing figurehead and little else. The tension that needs to exist between Tany and Michel never materializes as completely as it should, making their grudge match moderately underwhelming as things progress. Still, I like the aggressive machismo fueling the film, a trait Dujardin isn’t afraid of embracing. He’s a tornado tearing through the proceedings with fearless ferocity, becoming some sort of carnivorous, chain-smoking combination of Humphrey Bogart, Gene Hackman and Jean-Paul Belmondo all rolled into one. Jimenez also manages to stage a couple of electrifying set pieces, using motion, subterfuge and misdirection as allies in a driven quest to ratchet up tension. He’s assisted considerably by Laurent Tangy’s marvelous cinematography, the film’s visual esthetic having a retro cool ‘70s-style vitality that’s stunning throughout. 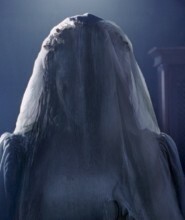 It doesn’t come close to reaching the same heights as The French Connection, which, while not unexpected, doesn’t help the film or its cause as it is essentially telling a purposefully similar story making comparisons unavoidable. None of which makes The Connection less enjoyable. Even with its flaws it’s still a terrifically entertaining procedural, and while the destination is never in doubt getting there is hardly the challenge in lesser hands than Jimenez’s it potentially could have been.